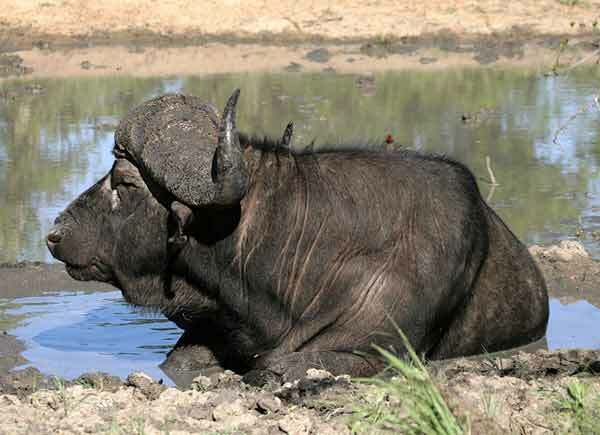 Caption: African Buffalo bull (Syncerus caffer) cooling off in small waterhole, Elephant Plains Game Reserve, Sabi Sands, South Africa. Photo: © Scotch Macaskill. Location: Elephant Plains Game Lodge is a private, family-owned lodge situated within the 65,000-ha Sabi Sand Game Reserve next to the Kruger Park in South Africa.